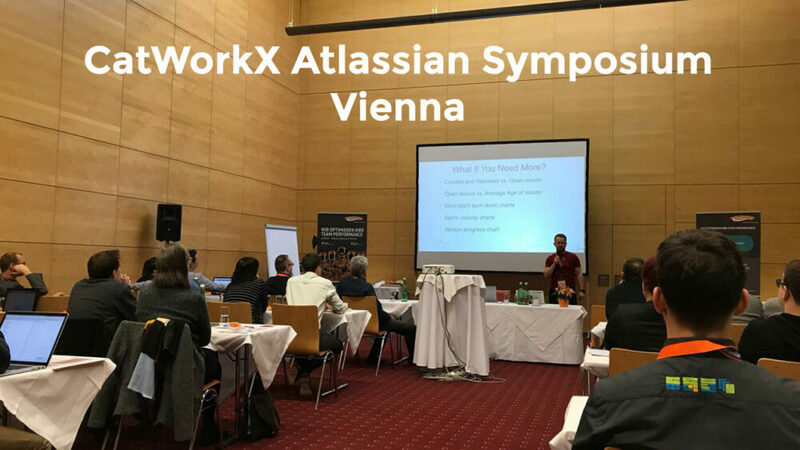 Atlassian Tools als Treiber der Prozess-Digitalisierung was the motto of catWorkX Atlassian Symposium 2017 in Vienna. 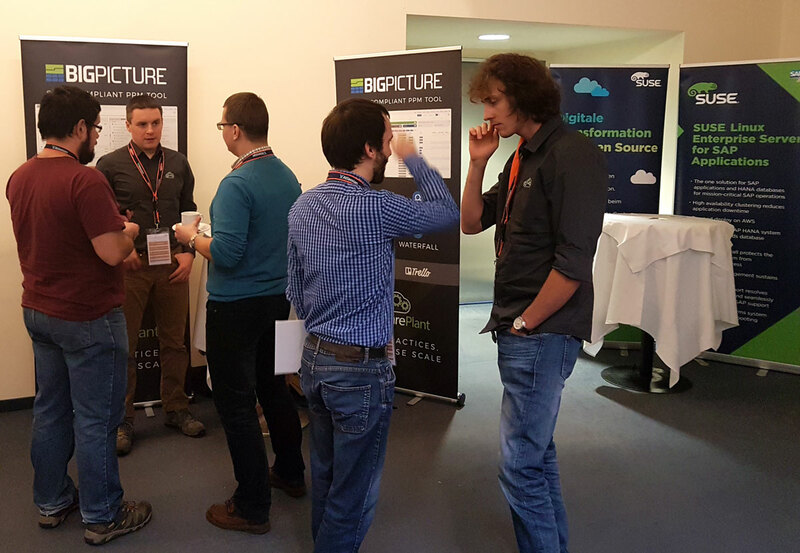 How was the event from a Jira app developer’s point of view? 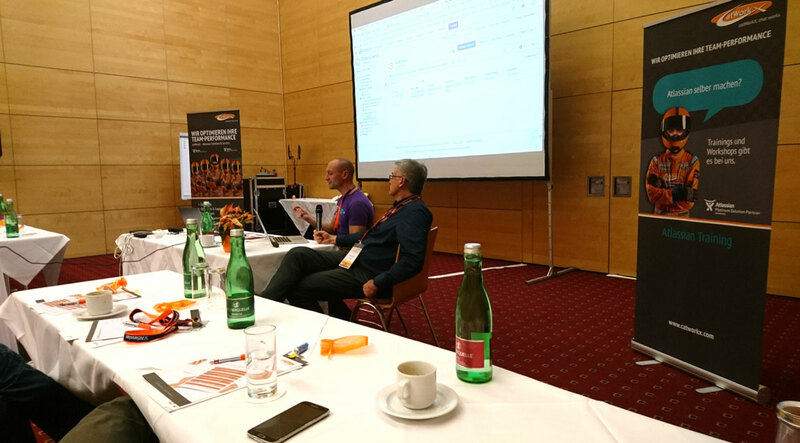 While presentations in English were welcome, having German speaking staff at catWorkX Wien seemed essential. On one hand all the morning presentations were delivered in German. 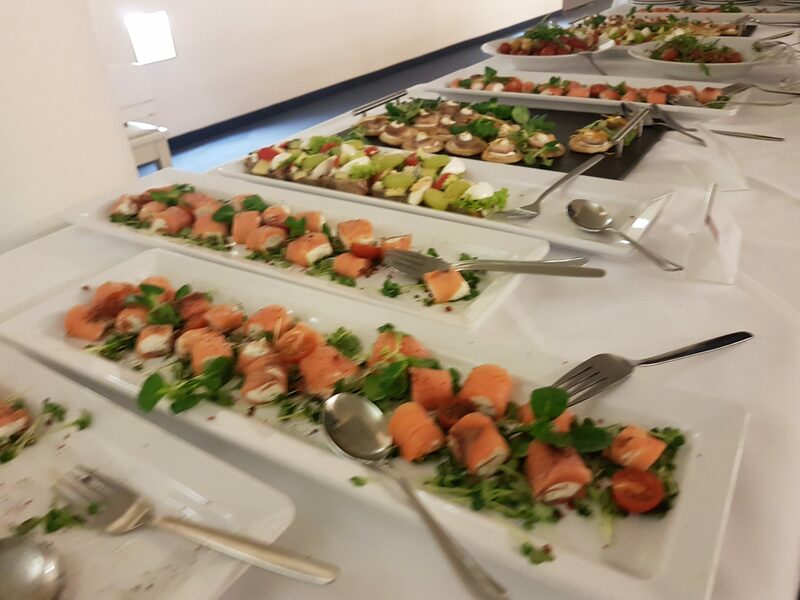 On the other hand we were told some guest, people from ESET in particular, would join the conference at 1 p.m. when lectures in English began. All in all, as a Jira apps developer, we believe we’d have got far more traffic had we learnt Deutsch at school. Unluckily, those who speak German at SoftwarePlant stayed home. So they supported the team dispatched to catWorkX remotely through Slack, pictured. German speaking team members stayed home. They sustained those present at catWorkX Vienna through Slack. 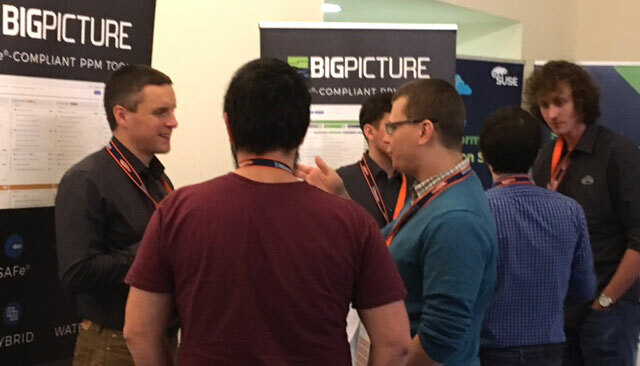 BigPicture booth at catWorkX Atlassian Symposium Vienna 2017. 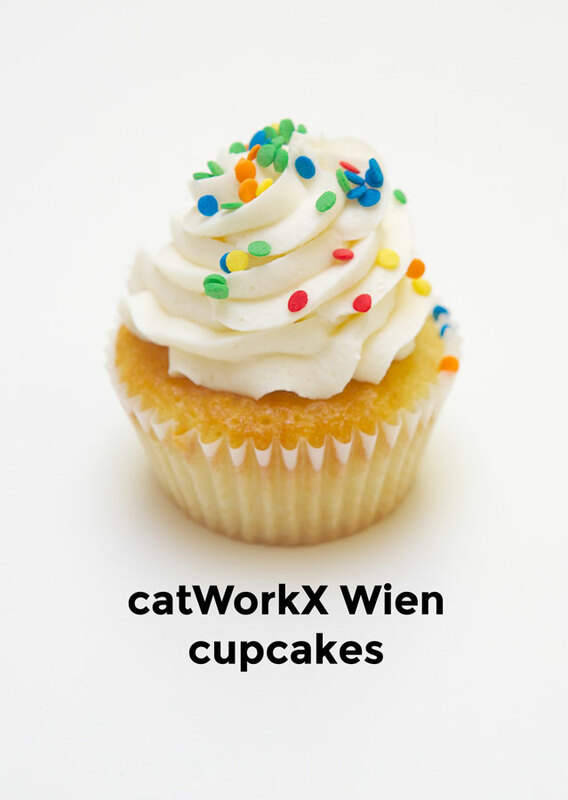 Network dinner at catWorkX Wien. Insight & Insight Discovery – The Riada Approach to IT Service Management presentation. Tuna stuffed witch cheese – yummy. Cupcakes and beer. 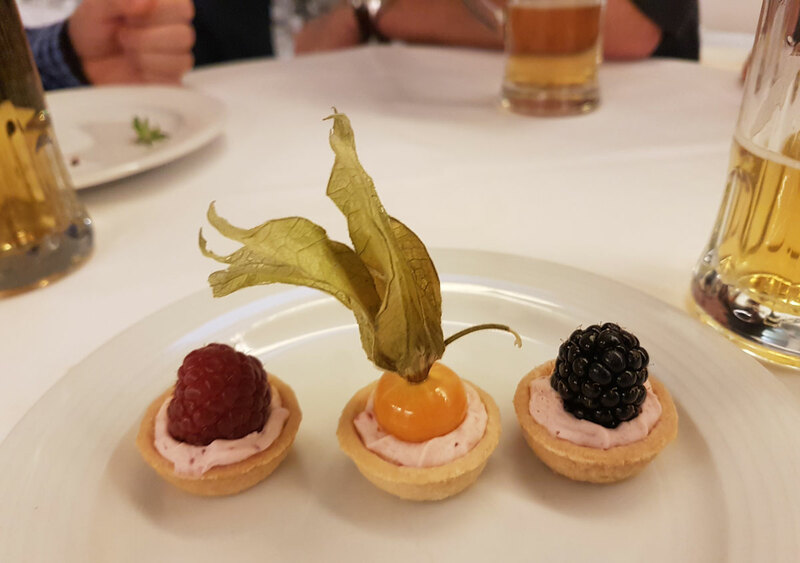 A combination to try in Austria! The Atlassian apps developer’s booth at catWorkX in Vienna.